James Tarala is a principal consultant with Enclave Security and is based out of Venice, Florida. James Tarala has been a speaker with the SANS Institute, the Institute of Applied Network Security (IANS), and the Center for Internet Security for over 20 years. He has spoken at RSA for numerous years and has enjoyed the chance to bring the experiences from working hands on with organizations into RSA sessions. 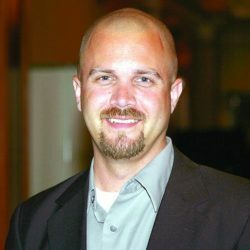 James has spent a large amount of time consulting with organizations to assist them in their security management, operational practices, and regulatory compliance issues, and he often performs independent security audits and assists internal audit groups in developing their internal audit programs. He has provided valuable resources for information security professionals through Audit Scripts, a child project of Enclave Security. James completed his undergraduate studies at Philadelphia Biblical University, his graduate work at the University of Maryland, and holds numerous professional certifications. In this episode we discuss sys admin start, starting his own consulting firm, security frameworks, the CIS Critical Security Controls. cyber security auditing and managing risk, the best use of check lists, teaching for SANS, and so much more.